"One must learn to be rich." Alas, Breaking Bad is over; but the lessons from one of my favorite characters will resonate well into the future. As readers learning to Invest Like A Farmer on this blog, Gustavo Fring offers some very telling advice when he says to Walter White at dinner: "One must learn to be rich. To be poor, anyone can manage." Rarely have I heard such a more poignant and truthful piece of advice. Becoming wealthy, for the vast majority of people, is a process rather than an event. Part of Walter White's fall, in my opinion, was that he became wealthy TOO quickly. There is such a thing, and we see it all the time with lottery winners who burn through their stash and long for the the "good old days." Thomas J. Stanely has written extensively on the attitude, lifestyle, and spending habits of the typical millionaire in his seminal book The Millionaire Next Door. My advice for today? Pick up a copy of this book and study it. The vast majority, think along the lines of 95%, of all millionaires fit the demographic profile Stanely identifies rather than The Forbes 400 members. Even many millionaires approaching the billionaire status could be classified as a "Stanely Millionaire." 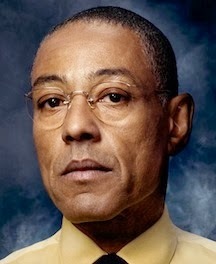 Although Gustavo Fring was a criminal mastermind who "hid" in plain sight, he definitely fit the mold of a "Stanely Millionaire." The characteristics of these millionaires, albeit not criminals like Fring, are indicative of people who Invest Like A Farmer. The mindset, the methodology, and ultimately the end result speak well of the process that made them rich.